Was born 1989 in Kiev, Ukraine. He got musical education in Kiev children Academy of arts first, Middle special music school n.a. M. Lysenko, and then in National Music Academy of Ukraine n.a. P. I. Tchaykovsky (graduated in 2011). 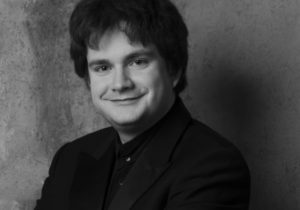 Artem leads an active concert life – as a soloist and as a member of chamber groups. Participant and winner of international competitions. 2nd Prize-winner at the All-Ukrainian festival of chamber and classical music “Spring Rhapsody” (Kiev, 2000). Diploma-2nd Youth Competition “Sribny dzvin”(Uzhgorod, 2001). Winner of the international competition of young performers ”The Art of the 21st Century” (Kiev, 2002). Winner of 2nd prize in memory of Yuri Polanski Cello Competition (Kiev, 2003). 2nd Prize Winner of the Ukrainian competition (2003, Lviv). 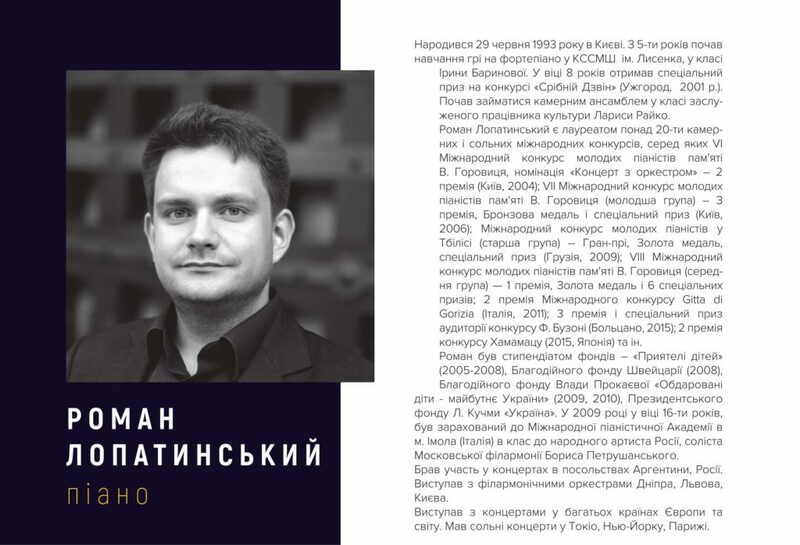 1st Prize Winner of 4th Chamber Music Competition ”Tradition and Modernity” (St. Petersburg, 2006). 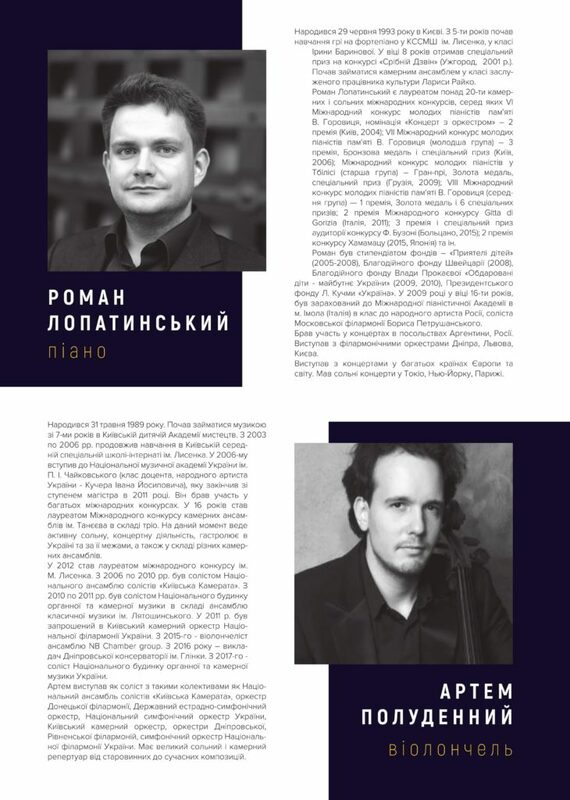 Winner of 3rd Prize-Ukrainian Viola and Cello Competition (Lviv, 2008). 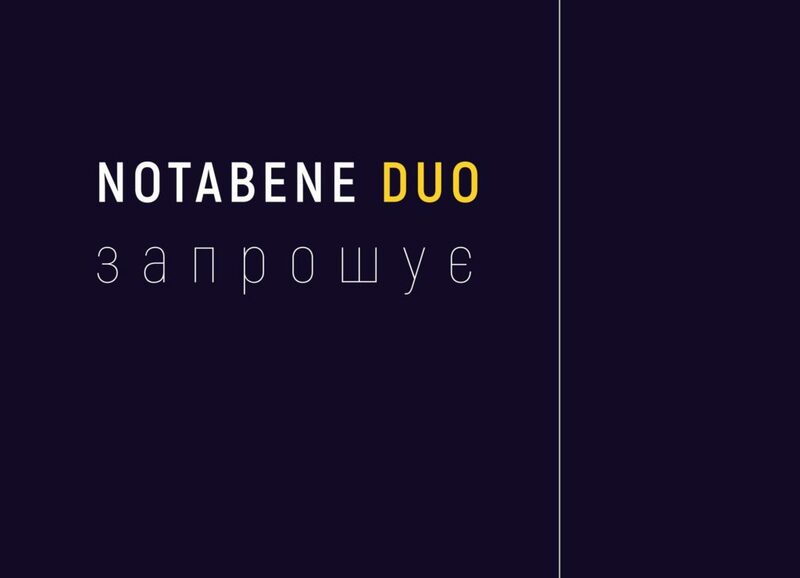 Winner of 5th Prize at the International Competition of Chamber ensembles n.a. Taneev (Kaluga, 2008). From 2010 to 2011 – Artist of the National House of Organ and Chamber Music. 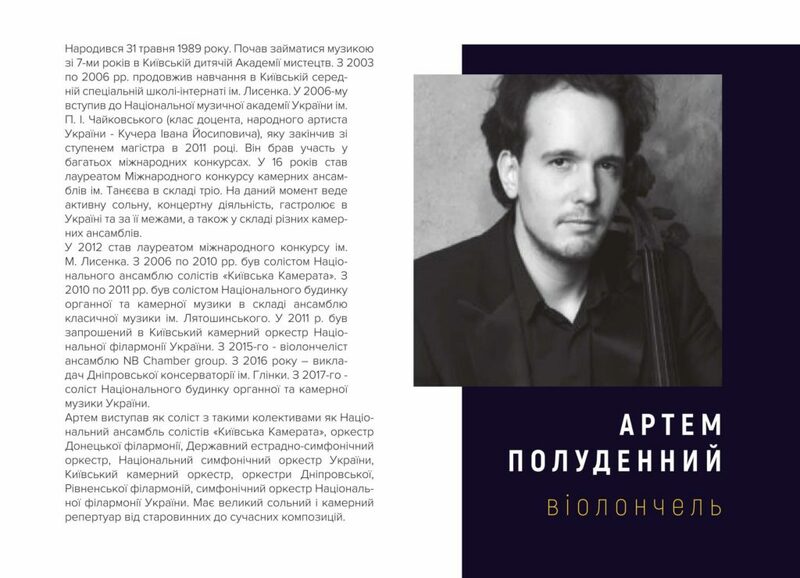 From 2011 – Artist of the Kiev Chamber Orchestra National Philharmonic of Ukraine. From 2015 cellist of NB Chamber group. From 2016 has own solo class in Dnipro state Conservatory. 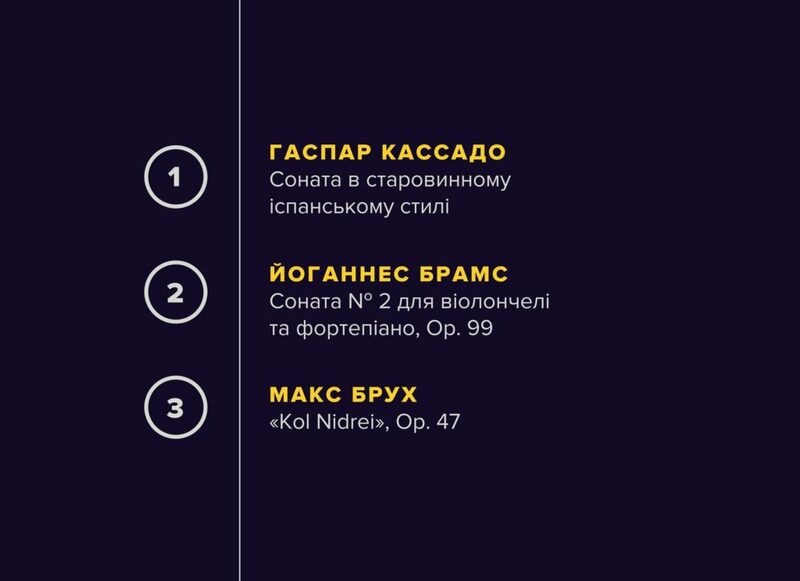 From 2017 soloist of National organ and chamber music hall of Ukraine. Was born on June, 29, 1993. -2 Prize of the Hamatsu Internationale Piano Competition (Japan, 2015). Came forward with concerts in the cities of Litunia, Germany, Poland, Switzerland, Israel, Italy, France, Marocco. Owns a large concerto repertoire. In 16 years entered the International academy Incontry col Maestro to Italy in the class of maestro Boris Petrushansky. The teacher of Roman in Kiev is Sergei Ryabov. 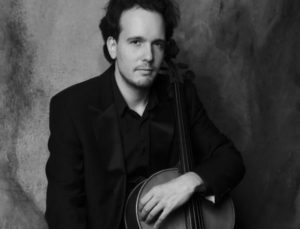 On February 2011 Roman was the participant of Music Festeval in Bad Ragaz. In April 2011 Roman Lopatynskyi played Concert Es-Dur of Beethoven with Orhestra Deutsche Radio Philarmonie, conducter Maestro Michael Sanderling, on July 2012 Roman played Concert D-dur of Haydn with orhestra on Festival in Imola (Italy).